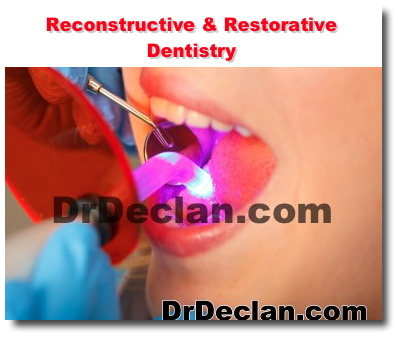 If you are in need of whole mouth reconstruction, you are not alone. Many patients avoid the dentist for years, and their dental problems slowly accumulate. Others visit the dentist only after developing a severe toothache, losing a tooth entirely, or becoming tired of hiding their smile. We offer all of the most cutting-edge restorative dentistry techniques to make over your smile and give you lasting confidence. Katrina and Helen very professional and did great job! They made me feel very comfortable. I felt the cost to re-glue my crown was very expensive, but needed to be done. The crew at Alamoana dental was a true life saver. They were repectful and pleasant from the moment I called in til the moment I left. I wish I had before amd after pics so that I could show you how amazing dr. K is. He totally built me a tooth out of nothing..amazing!! Ive bragged about them when I got back to work!! Broke a tooth. Dr. Devereau has a spiffy new machine that restored the missing part of tooth. The whole procedure took less than ten minutes. It was some kind of sand blasting and then some material that restored the contour of the tooth. No pain at all.I miss the water features in the waiting room. The gender-less necessary room has a very strange piece of sculpture. Choice of "Music" should be re-examined. The present assortment is less than soothing.The black uniforms of most of the staff is a bit ominous. They would be more befitting on a mortician's assistant.Free parking...excellent. 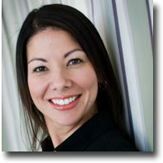 I had a great experience at Ala Moana Dental. They are good and no pain. Service by Dr Matto was great. Hygienist seemed to do a good job. Had two temporary crowns done, finalizing at end of the month. They are good and no pain. Dr Matto followed up the next day with a call to make sure all was good... I would recommend to anyone, and the hours the office is open are really convenient. My experience was five star; a TEN STAR if I could give it. 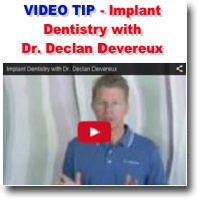 Was dreading a crown replacement but Dr. Devereaux and his staff actually made the experience pleasant. He's the BEST dentist I've ever had. So thankful we have Dr. Devereaux and his clinic for our dental care. Had 4 fillings and one tooth pulled Saturday morning. Very good service! Made this pleasant as such dental work could be. The hygienist at Ala Moana dental care was so kind and gentle. The hygienist at Ala Moana dental care was so kind and gentle. I really don't like the buzzing tool that takes off the plaque so she carefully does it by hand so that I am comfortable. Also the dentist put in a filling and I didn't feel a thing. They first put a numbing gel in my mouth, and I honestly did not feel the shot at all. Then the whole thing was done in about 10 minutes. 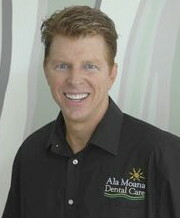 I will keep going back to Ala Moana dental care and I have every confidence in their ability to take care of my teeth! very friendly and understanding...quick n quality. Overall I had a great experience. My teeth look great and I'm not in anymore pain. I'm always impressed by the TLC I receive from ALL the staff at Ala Moana Dentsl Care. I'm always impressed by the TLC I receive from ALL the staff at Ala Moana Dentsl Care. I never thought I could give a 5 star rating after a root canal but it just proves how how good you are! Much mahalo! The Procedure was better than I thought . I thought I had to go to a different location to get a root canal . .Before I move here to Hawaii .I had to go to a different location and different specialise dentist One dentist specialized in extraction one dentist for root canal .It is wonderful that there is the same dentist who dose defend specialise task not just filling cavities . It is luxuries to find a dentist who can do multiple tasks . Staff was very friendly, like always.. They made me feel like they really cared about my well-being and didn't care how messed up my teeth. Some of the staff shared their experience and stories about themselves going through the same pain that I was. I needed two teeth extracted and the Dr. was amazing. I felt nothing at all. THE very best experience I've ever had at the dentist. I needed two teeth extracted and the Dr. was amazing. I felt nothing at all. I had been in a lot of pain for a long time, and they got me in and got my problems taken care of the same day! Everyone there was very friendly and professional. I just can't say enough good things about everyone there. Thank you! By far the best dental office. Highest level doctors and assistants. Had a root canal with NO pain. Dental hygienist Inna is the best ever. Gorgeous European blonde too! The staff was very professional and friendly. Dispite my fears of dental work, they quickly reassured me that i was going to be ok, and explained everything that they were doing. Had 2 between tooth fillings and a root canal with crown. Dr. Muraoka did the root canal with No pain during or after. Dental assistant Inna was amazing. So thoughtful and gentle. And she is Just Gorgeous. They misread my insurance which didn't cover a part of the procedure they thought would be covered. They took the loss and didn't have me pay for the uncovered portion. Great hours of operation and location too. This has to be the best dental office in Hawaii. Everyone on staff was friendly and took good care of my during my visit. Everyone on staff was friendly and took good care of my during my visit. Dr. Muraoka removed 1 wisdom tooth with minimal swelling and no pain. Dr Matto was very personable, and I even bought a book he recommended, and will try an exercise routine he let me know about. He also gave me a very thorough description of post op care. He is also a very skilled dentist. I needed my 4 wisdom teeth (1 impacted) extracted. The nurse and doctor were funny and very nice. I needed my 4 wisdom teeth (1 impacted) extracted. The nurse and doctor were funny and very nice. They explained the procedure as it was progressing and answered all my questions and concerns. I literally have no swelling or pain! I was really afraid if the surgery but your staff was beyond amazing! Thank you so much for your assistance from the time I booked my appointment to the actual procedure. Everyone was fabulous, kind and professional. Would recommend you to anyone asking where to go for dental work. All of my fears were totally unfounded. All of my fears were totally unfounded. Having an old crown removed,decay removed and a new crown fitted was patiently explained to me. Both the hygenist and doctor (dentist) were professional and understanding. The receptionists are exceptional and I feel very confident in recommending Ala Moana Dental Care. Thanks! I was very nervous about having a root canal done. I've always had a great fear of the dentist office. The doctor and his assistant helped to put me at ease and reassure me that there would be minimal pain. The procedure was painless and lasted less than an hour and a half. There was no pain after the numbing wore off. I am very pleased with my choice to get this work done at Ala Moana Dental Care. I have more work to be done and I'm sure it will go as smoothly as my root canal. Thanks Ala Moana Dental Care! Dr. Baxter did a great job for my extraction. I had all my needs taken care of first appt. I felt i could trust them with performing surgery in the next 2 weeks.